Back pain is very common and can stem from a variety of causes. 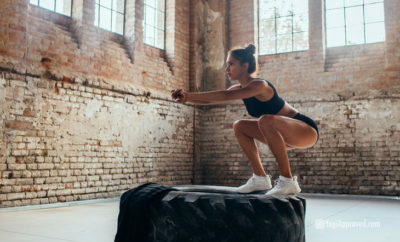 While some are relatively simple (such as a muscle strain from an overzealous workout or even excessive sitting), others can be quite complex (such as a compressed nerve caused by a herniated disc, spinal narrowing, or vertebral slippage). The bottom line is that, regardless of the underlying cause, your back hurts. And, when the pain flairs, it’s understandable that you want to find relief – fast. The good news is that the majority of people do not need surgery to address occasional or chronic back pain. 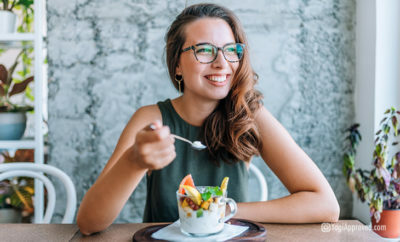 With the wide variety of effective, non-surgical treatments available, it’s important to keep in mind that what works for one person could be completely ineffective for another – and can sometimes even do more harm than good. Oftentimes, a physician-approved fitness program is a key component of a back pain treatment plan. Targeted exercises can strengthen the back muscles, enhance flexibility, and promote relief. For these purposes, one option that is increasingly gaining acceptance within the medical community is yoga. Yoga can be an instrumental tool in helping to ease back pain. There are many yoga poses for back pain out there that can assist in alleviating and soothing even the worst of pains. While not usually considered a main form of treatment for back-related issues, yoga is believed by many (including the experts at Laser Spine Institute) to be beneficial as a complementary therapy. By seeking to create a sense of balance between the body, mind, and spirit, yoga aims to stimulate and amplify the body’s natural mending response. 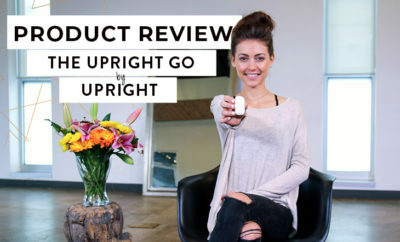 Its therapeutic effects can extend to virtually any ailment, and many people have found it to be helpful for alleviating back pain. After you’ve received a go-ahead from a physician, one option worth exploring is restorative yoga – a simplified form of yoga created specifically for stress reduction and injury rehabilitation. Restorative yoga is particularly well-suited for individuals with back pain because it does not involve any complex or intimidating physical poses. 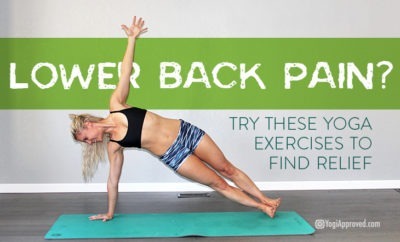 Instead, gentle movements and simple yoga poses for back pain are used to ease the body into comfortable positions, encourage relaxation, and ultimately provide lasting back pain relief. You can perform this sequence lying on your stomach (prone) on the floor. While keeping your pelvis, legs, and feet on the floor, lift your chest, neck, and head upward. Extend your forearms out in front of you, palms facing down, to support the weight of your torso. Inhale and relax, then exhale and lift your right leg a few inches off the floor. You should feel slight tension in your upper leg. Hold for three seconds, lower your leg to the floor, and repeat with your left leg. Do this for a few reps on each side, and gradually begin to build over time. 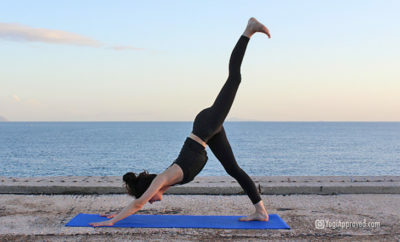 Through passive inversion, this restorative and very relaxing yoga pose can boost circulation in your upper body and head which, in turn, relieves tension and helps reduce back pain. 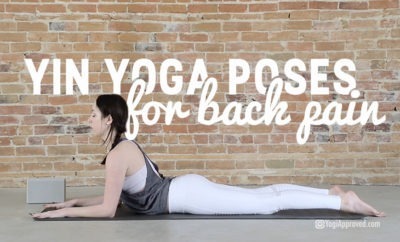 It’s one of the best yoga poses for back pain. Start by sitting on the floor with your right shoulder, hip, and thigh against a wall (place a yoga bolster or rolled towel nearby). Lower your torso so that you are lying on the floor, then turn your body so that you can swing your legs upward onto the wall. Your torso should be perpendicular to the wall with your legs up and resting on the wall. Next, press the soles of your feet into the wall, lift your hips and slide the bolster underneath. Extend your arms out in a “T” position. Rest passively for five minutes. When you are ready, press the soles of your feet against the wall and lift your hips to slide the bolster out from under you. Then, slowly lower your pelvis to the floor, roll onto your right side and use your hand to lift yourself back up into a sitting position. This deeply relaxing pose gently stretches the spine and relieves tension in the neck and back. Kneel with your knees hip-width distance apart and your buttocks resting on your heels. Exhale and allow your chest to relax toward the mat. 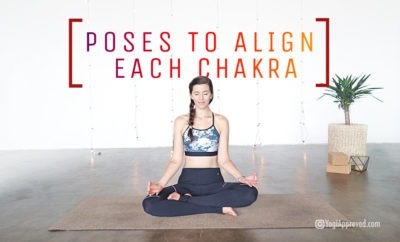 Rest your forehead on the floor and extend your arms forward with your palms facing down. Hold for one minute, allowing the tension in your neck, shoulders, and arms to drain away, continuing to breathe deeply. To release, use your hands to slowly walk your torso upright so that you are, once again, seated on your heels. 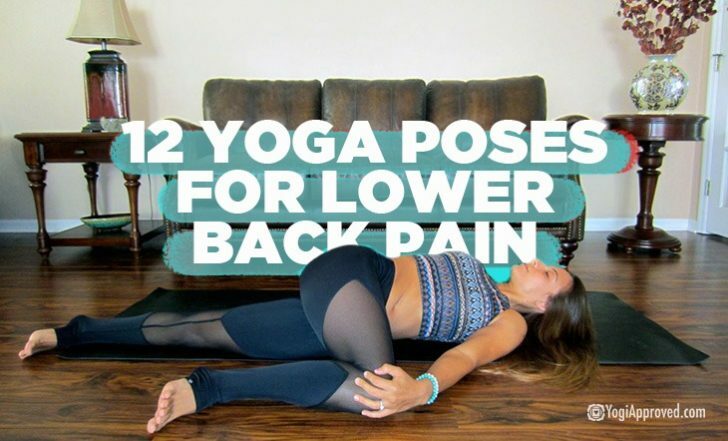 These two simple poses, when practiced together in a sequence, can help warm up the body, loosen the back muscles, improve posture, restore spinal alignment, and establish a sense of balance. Start out on your hands and knees, with your wrists under your shoulders and your knees stacked above your hips. As you slowly exhale, round your spine upward toward the ceiling, tucking your tailbone in and bringing your chin toward your chest (in Cat Pose). Hold for three seconds. Next, as you inhale, arch your back, lower your abdomen, and lift your head and tailbone upward (into Cow Pose). Alternate between the two poses for approximately one minute, then finish with a Child’s Pose. As you slowly exhale, lower your knees to the floor on your right side. Try to keep both shoulders pressed firmly down; if your left shoulder lifts, move your knees slightly down and away from your right arm. Hold the pose for one to two minutes, then repeat on the opposite side. 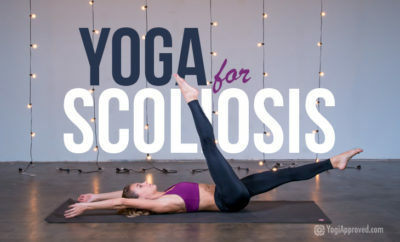 This yoga pose elongates the spine, strengthens the core muscles, and promotes a full body stretch that specifically targets the back extensors (the large muscles in the lower back that support the spine and enable standing and lifting). Needless to say, it’s one of the perfect yoga poses for back pain. Start out on your hands and knees with your hands placed slightly in front of your shoulders and your fingers spread wide (to distribute your weight evenly through your hands). 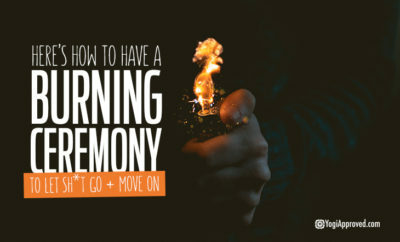 As you exhale, slowly press back, raising your knees off the floor and lifting your tailbone toward the ceiling to position your body in the shape of an “A.” Gently push your heels into the floor and hold the position for five breaths, and then repeat the sequence five to seven times. Yoga is generally safe, but if you feel a sudden new pain or your existing pain worsens while practicing a pose, you should stop immediately and contact your physician. 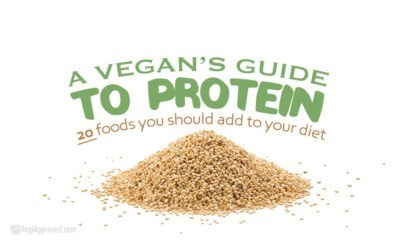 Also, if you don’t see any progress after a reasonable amount of time, you should discuss your experience with your physician and ask about altering your regimen. Remember, therapeutic yoga is not a “one size fits all” treatment; rather, it is an ongoing process. To find the most effective approach for you, you must listen carefully to your body and respond accordingly by fine-tuning your routine. 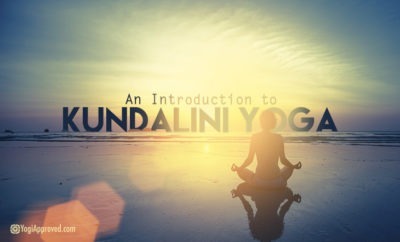 Are you interested in trying Yin Yoga? 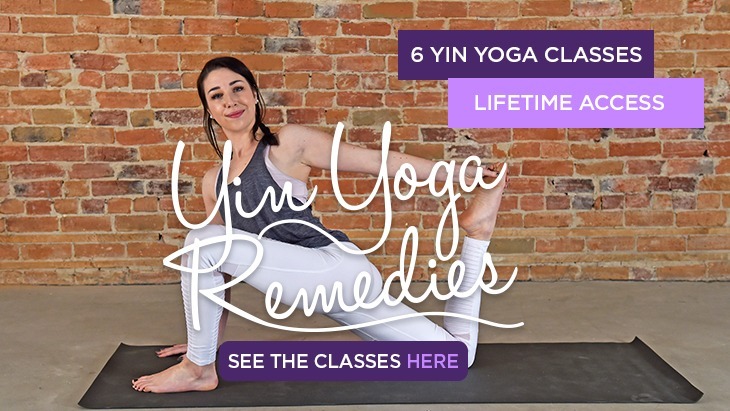 Check out our 7-class Yin Yoga Program. See the classes here. Sciatica is a condition that causes tenderness/pain anywhere along the sciatic nerve line. And guess what - the sciatic nerve is the longest damn nerve in the body (no wonder it’s such a troublemaker). As a chiropractor at Laser Spine Institute, Dr. Jeffrey Langmaid works to ensure that each patient has a firm understanding about their spine care options. He has also presented and lectured at multiple hospitals and continues to showcase his expertise as a featured speaker at chiropractic conferences. Here are 12 yoga poses to help relieve tension, circulate the blood flow, create space in the body, and most importantly – help our backs feel young again.